WordPress is one of the most widely used Content Management System (CMS) and my personal favourite. I am running it on this site and I use it for all of my other sites except for my ecommerce store for which I use Shopify. It was originally created as a blog publishing platform however it has become so popular and powerful it is able to be used for much more than that. It’s also fully customizable so you can make it look and do almost anything you want, this includes making complex ecommerce stores. Although its primary purpose is not e-commerce, there are a lot of plugins and themes available that will let you to use WordPress for your online store. Using WordPress as the base for your store is very viable and plenty of people do it. The reason I don’t use WordPress for my ecommerce store is that it’s harder to set up get working. The back end isn’t as smooth as Shopify for managing large product bases. There is no dedicated support team. Plus it is not a work in progress system that is constantly being updated and advanced as an ecommerce platform. That being said, using WordPress is much cheaper. All you need is a domain and a cheap reliable hosting package from somewhere like Bluehost and you can set it up. WordPress its self is free. If you already have hosting then all you need is a cheap $10 domain from somewhere like Godaddy. So it is a great option if you are only selling one or a couple of products and you don’t need a complex back end. To help you to setup a WordPress powered e-commerce site, let us check out the top 5 e-commerce plugins for WordPress. Yes, free e-commerce plugins. The most famous plug-in, its a favoured by many. With clean designs, easy payment integration with PayPal and more plus all the rest, it’s a must try if you are taking this route. eShop is a free shopping cart plugin for WordPress, packed with tonnes of great features. Quick Shop is a free WordPress plugin that uses sidebar widgets to create a simple shopping cart. It adds a sidebar widget that shows the user what they currently have in the cart and allows them to remove the items, and checkout easily. The plugin uses a TinyMCE button to easily allow you to add products to your posts/pages. YAK is a simple shopping cart plugin for WordPress. YAK associates products with weblog entries, so the post ID becomes the product code. It supports adding products through both pages and posts. YAK handles different product types through categories, and provides customisable purchase options (cheque or deposit, basic credit card form, basic Google Checkout integration, standard PayPal integration, PayPal Payments Pro, and Authorize.net). ArtPal is a free WordPress plugin under the GPL license. 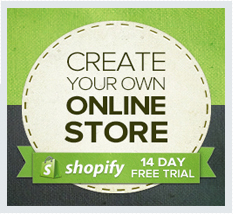 It was originally written for Artists to help them sell their work by easily creating an online store. But, of course it can be used to sell anything and not just art work! It seamlessly integrates PayPal with the WordPress blog. Take a while to browse through these plugin’s and make sure to select one that matches all of your criteria. Once you have chosen one it will be fairly tricky to change so make sure you get the right one the first time. Hope you enjoyed these free wordpress plugins! I tried WP-ecommerce but found it to be too clunky so I ended up installing Artpal instead. It works well, integrates easy and is perfect for my site which sells “one of a kind” jewelry. Once an item sells, you can’t purchase it again. The bit about re-installing is true, so if you want to try different plugins, try them before you build everything out-use a test product.